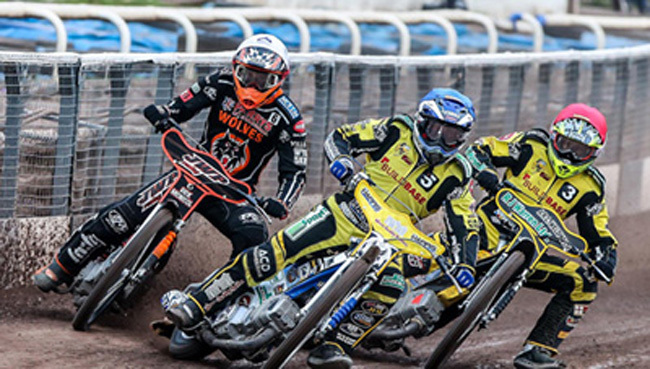 WOLVERHAMPTON boss Peter Adams insists his side deserved their league point from a thrilling 46-44 defeat at Coventry. Freddie Lindgren won the decisive Heat 15 for the Parrys International Wolves but with Krzysztof Kasprzak in second it was enough for the home side to edge home. Reserve Sam Masters was in fine form to top score for the Monmore men with 15+1 but Lindgren dropped just one point from five outings in breathtaking style to notch 14. Said Adams: "Nobody can accuse us of being lucky, we worked hard to get into the position we were in. "Freddie worked hard for his points and Sam was tremendous at reserve, I thought we were good value for at least a point. "We will take a point, it keeps us adding to our tally and as long as we keep doing that we will be in for a good season." The meeting looked to be slipping away from Wolverhampton but a 5-1 from Masters and Ashley Morris in Heat 12 brought them back into contention. Lindgren was involved in several daredevil moves during the night and his win in the last was a fitting end to the meeting. COVENTRY 46: Krzysztof Kasprzak 14, Danny King 10+1, Chris Harris 8+2, Kacper Woryna 4+2, Jason Garrity 4+1, Josh Bates 4, James Sarjeant 2. WOLVERHAMPTON 44: Sam Masters 15+1, Freddie Lindgren 14, Jacob Thorssell 5+1, Joonas Kylmakorpi 5, Ashley Morris 3+1, Mikkel Bech 1+1, Kyle Howarth 1.